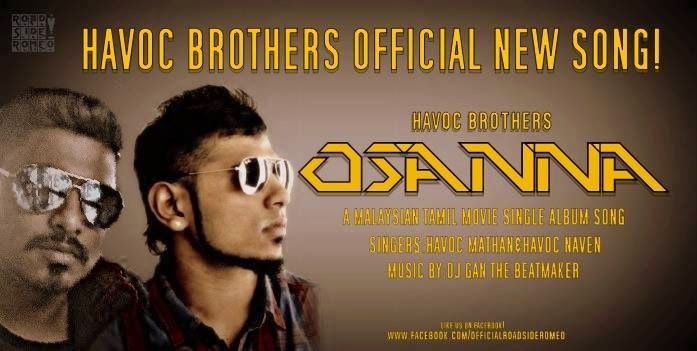 Havoc Brothers - Osanna song is featured in a Malaysia Telemovie sung by Havoc Brothers and music composed by DJ Gan The BeatMaker. Get the Havoc Brothers - Osanna Song Lyrics on ReTamil now! 0Response to "Havoc Brothers - Osanna Song"